The first edition of the Talentia Challenge programme promoted by Bizkaia Talent is about to finish. Nevertheless, it still generates good news. The latest has to do with the decision of Obra Social “la Caixa” to join the Programme as a collaborator. Talentia Challenge is an innovative initiative aimed at promoting and fostering the conditions and processes to attract, retain and link highly-qualified people to our territory, thus enhancing the innovation and advanced knowledge of Basque organizations. This project stems from the well-known and well-established Talentia programme as well as the Competencies for Professionalism in Bizkaia programme. More than 1,000 undergraduate students with the highest potential of Bizkaia from the three Basque universities: UPV/EHU, Deusto and Mondragon have participated in these programmes so far. 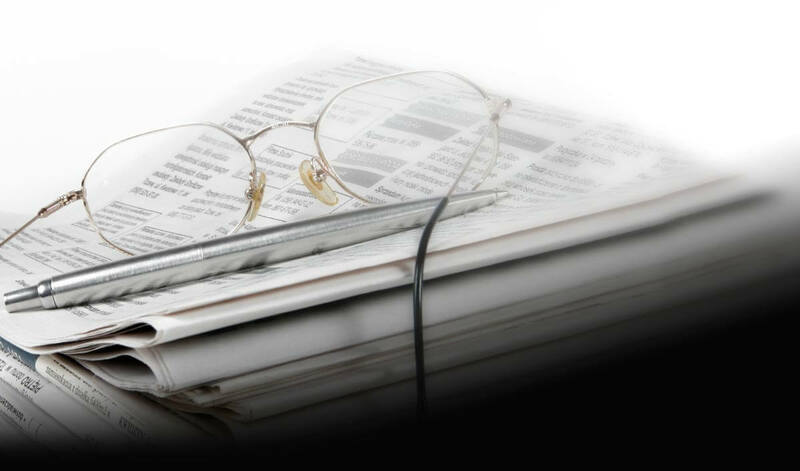 In this first edition, prestigious Basque organizations such as IDOM, ARTECHE, the Science and Technology Park of Bizkaia, LANTEGI BATUAK and the Provincial Council of Bizkaia itself have taken part in the project and presented their challenges. 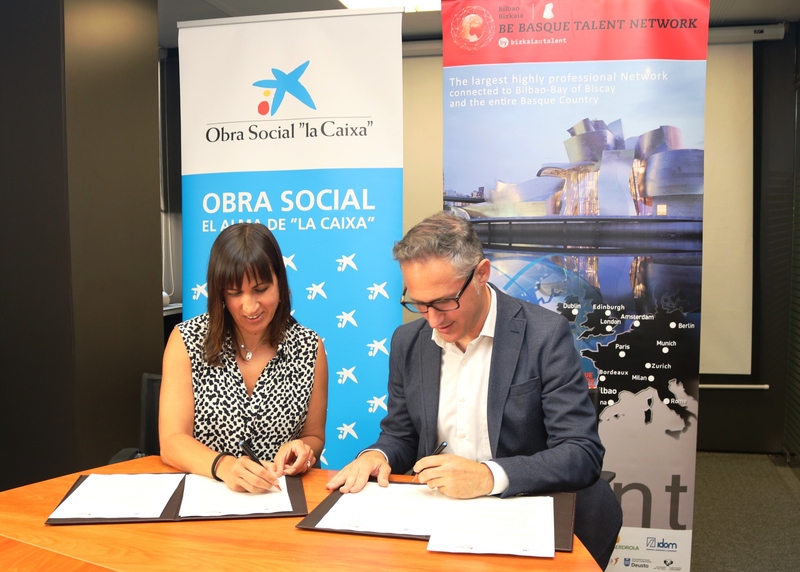 The Managing Director of Bizkaia Talent, Ivan Jimenez, and the Director of CaixaBank Institutions in Biscay, Elena Abando, have entered into a collaboration agreement to further develop the pioneering Talentia Challenge programme. The agreement covers the activities of the programme itself, and especially international visits, like those which were recently made to places such as Finland or Cambridge. 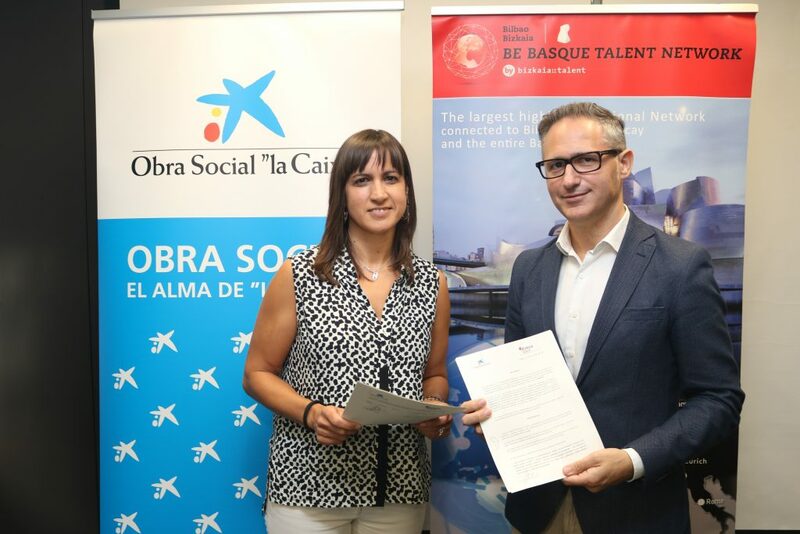 “This agreement is a great opportunity, since it helps to develop the programme and carry out international activities and visits which certainly provide better training and experience to the participants in this first edition of the Talentia Challenge programme” the managing director of Bizkaia Talent said. As for Ms. Abando, he said that “At Obra Social “la Caixa” we intend to promote the creation of youth employment and entrepreneurship and we consider Talentia Challenge to be a programme perfectly aligned with our priorities”.